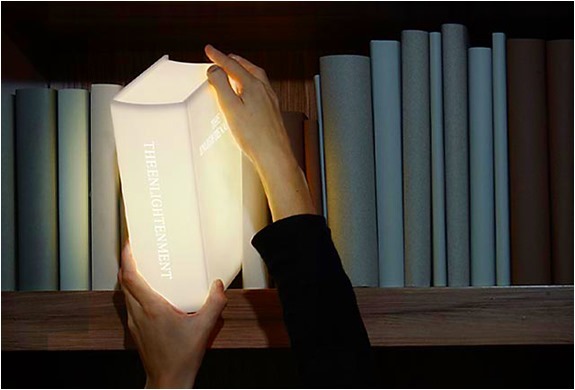 You may have heard of the lamp of enlightenment before, but I’ve found something that might be even better – The Enlightenment Book Lamp. 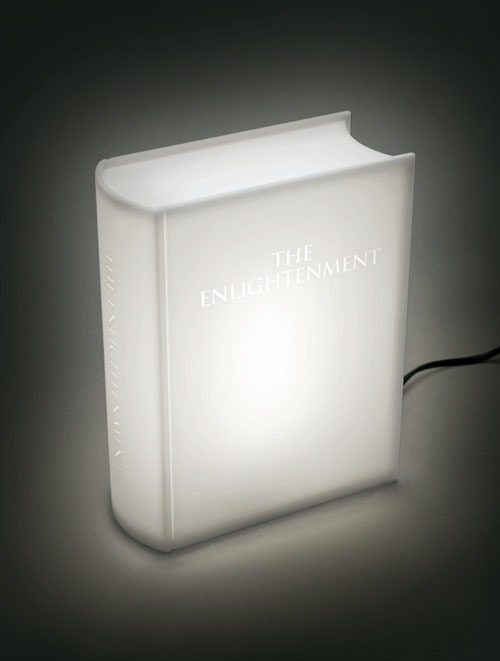 Made out of white plexiglass, this book-shaped lamp is lit with a 9-watt energy saving bulb; the words “The Enlightenment” are embossed on the binding and front cover. Con: it has a European plug, so you would need an adapter – and the lamp costs a whopping $113. Pro: ten percent of the proceeds go to fund education projects facilitated by the Edukans Foundation. Now that is enlightening. 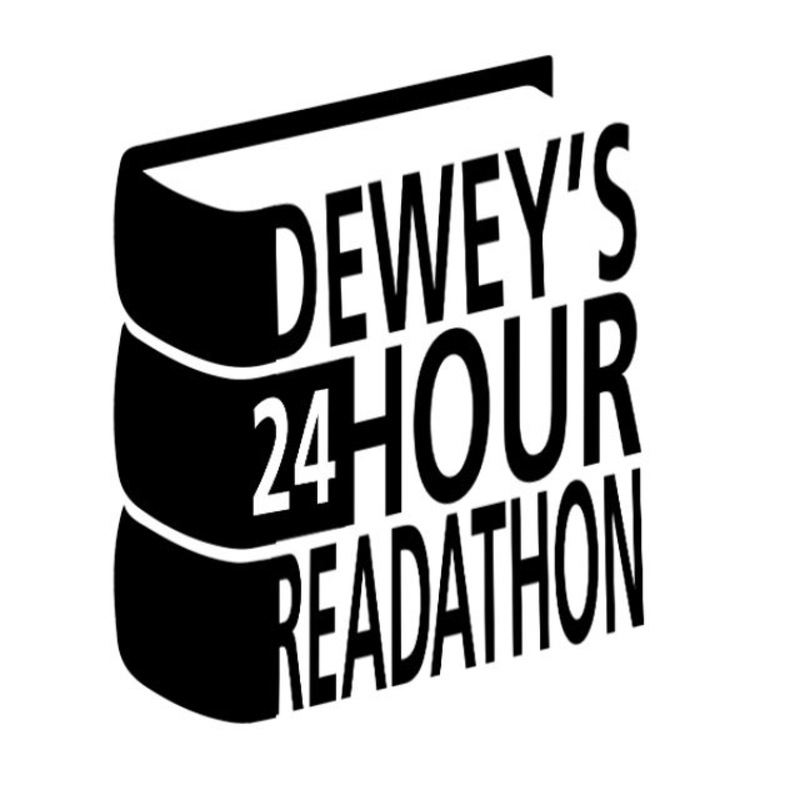 Would you add this lamp to your bookshelves or bedside table?